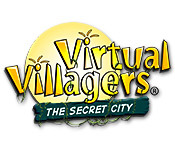 Virtual Villagers: The Secret City is rated 4.6 out of 5 by 21. Rated 5 out of 5 by aly529 from Loved it!!!!! This is a great game with a cute storyline. LOVE VV!!!!!! Rated 5 out of 5 by PrincessGumball from Virtual Villagers 3 Wow I just love this game. It exciting .Theirs new turns and twists. It a great game. Rated 5 out of 5 by icamanatee123 from Best Virtual Villagers Game!!!!!!!! I've played almost every Virtual Villager game made.... well, except for the 5th one, but this is my favorite one! It's so much fun!!!!! If you haven't played this game, you should because it's the best!!!!!! Rated 5 out of 5 by fishy_shell01 from VV III an excellent growing tribe. 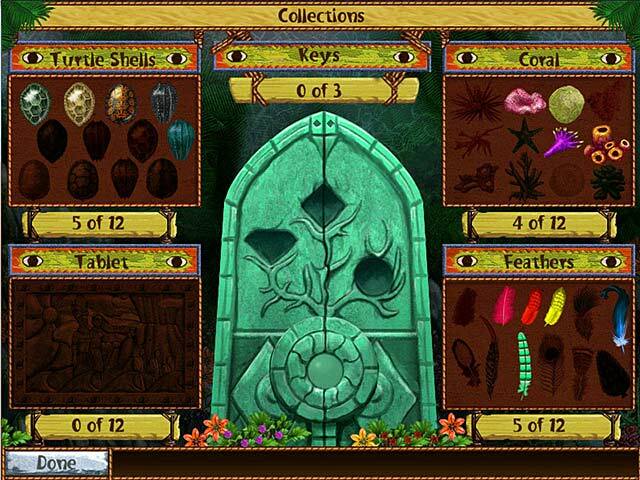 I played many times and when I finished, it was by discoevering something tha took all the Villagers underground. I never did get into that door put that statue back up because my villagers turned into spoiled teenagers that would not work or be trained. I never could finish a game with everything finished. But it is really worth it to see the villagers together again. Rated 5 out of 5 by Dharmalicous from LOVE all the VV games, this is one of the best! Just a great game. Never gets boring! Rated 5 out of 5 by FIN_aiti from Fun for whole family Nice game, mother likes, safe for kids. They loves to play this game and this is a good game for learning english. Just give a dictionary to children and encourange them to find out what stays on orange notes. Kids likes to play this game with friends. Only minus is that you need to put limits for time to play (also yourself) and you hear many time a question: "Can I check situation next morning if I don't pause my game over night?" Rated 3 out of 5 by cutiepieema from GAME WON'T WORK downloaded the game and it literally never showed any graphics. It loaded, but just black, however the music works! Rated 3 out of 5 by tehuti88 from Virtual Villagers 3: The Secret City Urgh. I like this game, and I hate this game. The "why" should become obvious soon enough Plot: You have a handful of villagers on a mysterious deserted island. There are numerous signs of a previous civilization, but they're all in ruins. 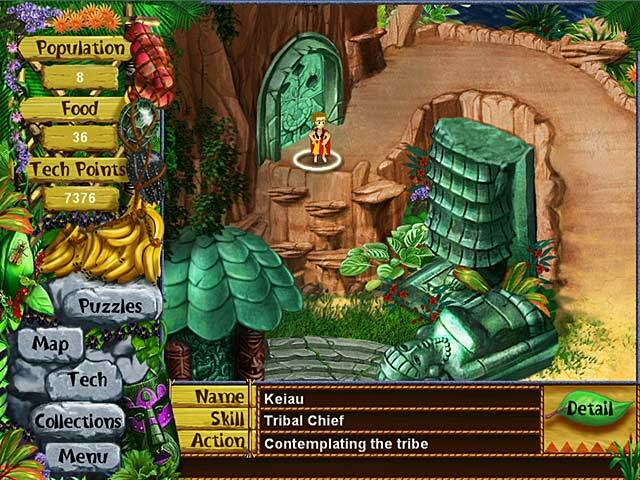 You have to grow your village by increasing the population, providing food, and accumulating enough "tech points" to assist in discovering new technologies such as medicine, farming, and architecture, in order to rebuild the ruined settlement and learn the mystery of what happened to the previous inhabitants. Pro of the game: It's in real time--though you can put it on pause, for when you're unable to play for a while--so you get to see your villagers grow up and learn their various trades, have children, solve problems, and even die...I was always saddened to find a little skeleton on the ground. :# The villagers grow from tiny children to elderly people with gray hair...it can get pretty absorbing just to watch them live their lives. Con of the game: It's in real time. Meaning it takes FOREVER to accumulate tech points #which are needed to upgrade technology levels within the game, which in turn are needed to solve certain puzzles and move gameplay forward#, nurse babies, teach villagers necessary skills, rebuild/restore things, grow trees that provide enough food until you get enough expertise to teach them how to fish... I "won" the game on my third village--in the first, everyone starved to death, and in the second there was a calamity which made me start over as we were pretty much doomed--even my third village almost didn't make it. They WOULD have all died, without a walkthrough. Although absorbing, the game is also incredibly frustrating. Not just because of the real-time challenges described above, but because it's simply not intuitive--most of the puzzles can't be solved unless you're infinitely patient with trial-and-error, or unless you constantly consult a walkthrough. Some of the steps needed to solve puzzles are incredibly outlandish, things you'd never even think of trying, so I have no clue how people handle it without the walkthrough. And...there's apparently no end to the game! You solve everything, you achieve all your upgrades, and then...the game just keeps going. There's nothing left to DO, really--no more puzzles to solve, no more places to explore #there's only the one scene available, anyway#--aside from keeping your villagers fishing, doctoring, and having babies. This is the first game I've played that literally has no ending! I also grew rather resentful of the fact that I HAD to play the game every day, just to make sure everything was progressing properly and some catastrophe hadn't struck. Now that I find the game has no ending, I have to keep doing that, put the game on pause indefinitely, or let everyone die off. Considering how lousy I felt whenever my villagers starved to death, the last isn't really an option. Perhaps I'd recommend against playing this game if you have an overwhelming amount of empathy, because it can get really depressing to see your hungry villagers forlornly checking out the empty food hut. :# Additional challenges are that only adults can work, whereas only children can collect small food and tech items such as feathers and shells. Nursing women and chiefs also will not work. So you have to make sure you have enough practitioners of certain professions, and to balance population against food and tech point accumulation. #More people eat more food, but they also acquire more tech points.# Also, occasionally when you enter the game, you'll be presented with a choice a villager must make, and the outcome can be highly beneficial--or disastrous--depending on what you choose. #ONE small bad choice was behind my first village succumbing to starvation...# Graphics are very simple, and similar clothes/hairstyles and even names are reused on numerous villagers so it can be a bit confusing, though there's enough variation to keep it interesting. The villagers have their individual quirks #children typically run around a lot, but I had one little boy who was VERY SLOW and one of his listed dislikes was "running"# and will do odd little things unprompted, such as playing in rain puddles, "looking at fishies," honoring the dead #I was touched to see one of my scientists lay flowers on the grave of another scientist#, and even "going indoors" together to make another baby. Sometimes the women have triplets! It's frustrating trying to convince two villagers to make a baby when their hearts aren't in it, or to follow a profession when they don't want to #some would literally rather lie on the ground doing nothing!#, but this also provides some challenge. There are various awards/milestones, optional collections, and technology levels you can upgrade so the villagers can solve more difficult puzzles. It's up to you to figure out the best method to achieve all this in a reasonable period of time. This game is merely one installment in a series, but I won't be playing any of the others. While I felt rather pleased with myself and proud of my villagers for solving the puzzles #via walkthrough# and making it through the game, after all the hassle that went into teaching them and watching time pass by, and having to play the game every day, and having to witness two other villages die off before this one, I haven't the heart to go through that again. ;_; I can't completely write the game off though, since it's definitely challenging and interesting, and is perhaps a better fit for players who won't feel sad every time a Virtual Villager dies! What will happen, by the way, when their virtual cemetery fills up...? o.o I obtained my copy of "Virtual Villagers 3: The Secret City" on the "Mysterious Adventures 16-Pack" disk in a retail store. The game folder takes up 46MB on my hard drive. 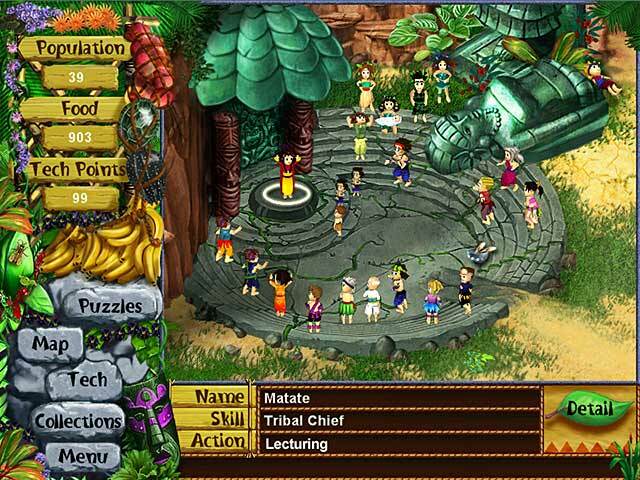 I ran this game on Windows 7 with no problems. Rated 3 out of 5 by grannyc1324 from ok this game is ok but i think they should have more stuff to use and work on. im not saying i dont like the game its just it should have a upgrade. Rated 3 out of 5 by skinnzy from Bleh! Aargh! Thar' be spoilers ahead! Take heed! OK, I realize that there are many, many people out there that love the Virtual Villagers series, but after a second go at this line I just don't get the attraction. The game is filled with completely ambiguous, non-logical puzzles (at two points you have to drop one of your beloved villagers - not just any villager, mind you, but a specific one - straight into a bonfire to complete a puzzle. Now wait a tic... I love my villagers! Why the heck would I try, multiple times, to throw them onto a burning pyre?) Also featured is the much appreciated 'try-and-fail' mechanic regarding a slew of alchemy potions, (most of which are detrimental to your villagers, and only a couple of which directly progress gameplay). And to top it off a storyline is offered that can be summed up in about one paragraph, if not one sentence. The game is full of contradictions: The fire helps your villagers! (but let the fire burn out) Alchemy is essential! (but ingredients are meaningless and most concoctions will hurt you.) Look for collectibles! (to achieve pretty much the worst reward possible). If you do enjoy this style of game, I would strongly recommend that you try 'The Promised Land'. It has somewhat similar mechanics, except there's much more to do, much more fun to be had, and most importantly, things make bloody sense!